Rvda. 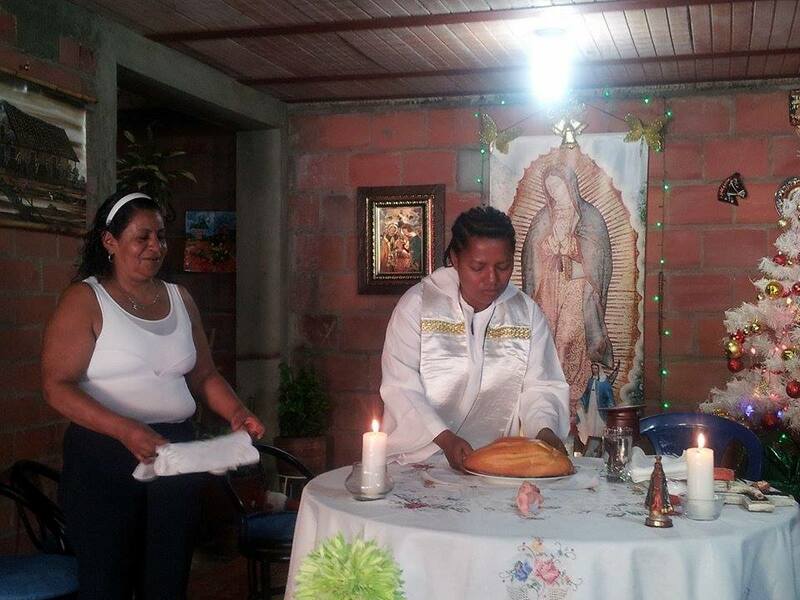 Marina Teresa Sanchez Mejia,RCWP of Cali,Colombia celebrated a Christmas house Mass with members of her community. 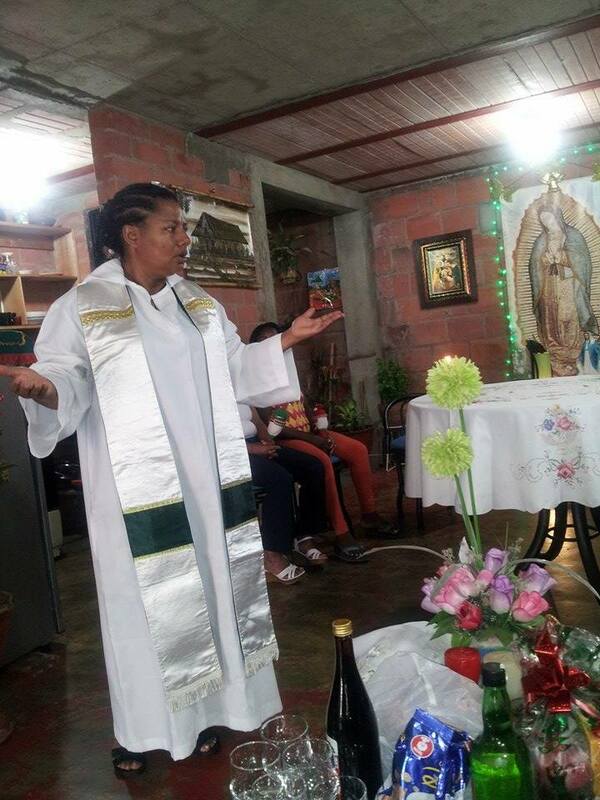 This woman of deep faith, courage and passion for justice, especially for the Afro-Colombiano Community, celebrates with holy passion for the Eucharist, Christ present with us and for the people of God. Many attended and also enjoyed the fellowship afterward. She is making a major difference in the lives of so many, especially the women,youth, and children of the community. 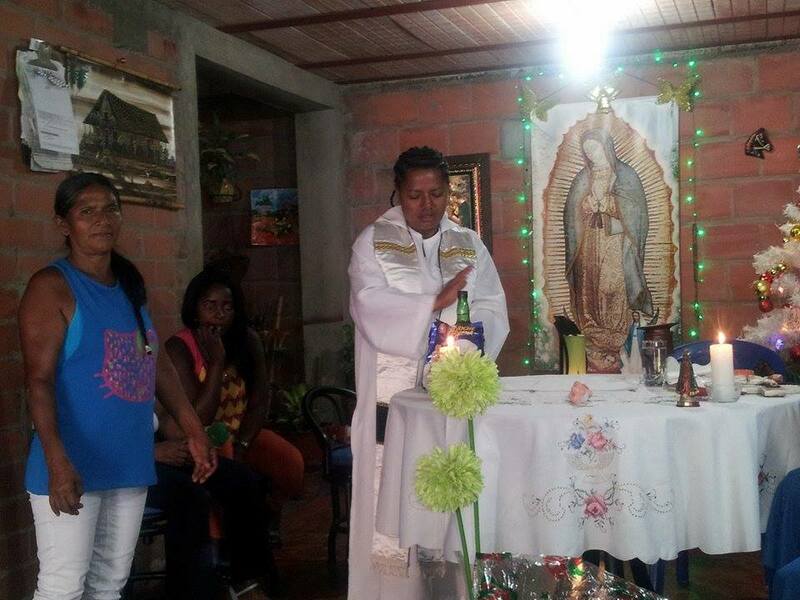 Que Dios te Bendigas, Rvda. Marina Teresa! Vale,vale! 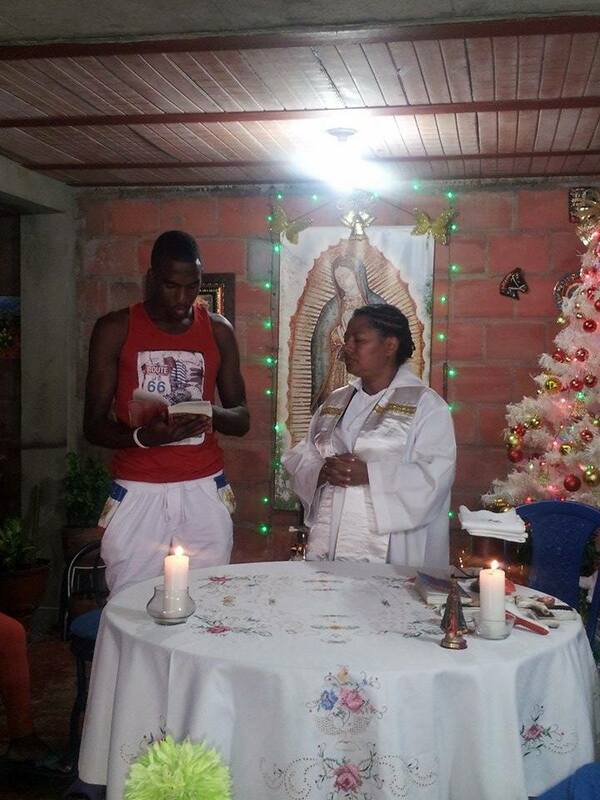 May God continue to bless and protect Rvda. 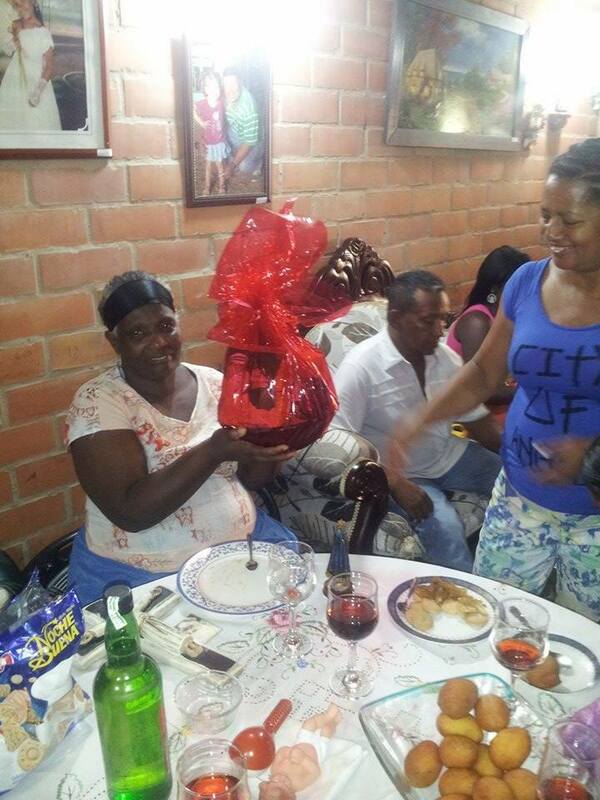 Marina Teresa and her community. What a joy to see these photos and to share in the hope this celebration of Christmas liturgy brings to the community Marina Teresa serves!